Home prices are on the rise and research shows that the housing market has (finally) recovered after a decade of much-needed restoration. Experts say that residential real estate investing is a smart bet this year. With this knowledge, you’re thinking about taking the leap and investing in a fixer-upper property to fix & flip—but it would be your first investment and you have a few valid concerns. While there are many positives in the pros column, there are also quite a few risks and challenges associated with the house-flipping process. With limited homes on the market and so much competition, how can you beat seasoned investors to the punch and manage to land a profitable deal? Is there any way to ensure that your fix & flip doesn’t end a flop? What do you need to do to get started? Like any first-time investor, you’re sure to have a lot of questions and concerns when it comes to flipping houses. We’re here to help. Armed with a few helpful tricks of the trade, you can successfully fix & flip a home as your first investment. Knowledge is power. You’ll want to learn the ins and outs of your local housing market. Where are the hottest investment areas? What are fellow investors doing nearby? While you probably know that you need to educate yourself before getting started, it’s also a lot easier said than done. Instead of attempting to do it all yourself, you need access to real estate investing (REI) tools that will help you land the best deals in the hottest areas. Pull tailored comps to ensure they’re accurate. Study investor comps so you can see what other investors are having success with in your particular area. Identify hot areas in the market so you can find out where other investors are active and join in. While REI tools are useful for anyone in the business, they can be especially helpful for minimizing your risk while you’re still learning the ropes. Discipline is your friend in the house-flipping business. To avoid the dreaded money pit scenario, you will need to be very disciplined and strict with your budget. To make sure you run the numbers correctly, always stick to the 70 percent rule. The rule refers to 70 percent of the after repair value (ARV) of a home that you’re considering fixing and flipping. The formula calculates the maximum amount that you can pay for an investment property, based on the ARV and the estimated repair costs. The rule can be adjusted based on how hot the current market is, but it should always be your starting point. Before you purchase your fix & flip property, you should assemble a team of people to ensure that you’re ready to jump right in. When you’re flipping a home, time is money and it pays to be ready to make moves when you find the right deal. You will need to hire several people to help with the flip, such as a real estate agent, a general contractor, a hard money lender, and a title company. It’s likely that you will need to hire several different contractors to help with the project during different stages. Assemble your crew in advance, and you can avoid wasting time and money down the road. While fix & flips are certainly not without risk, they can also be extremely profitable when done correctly. 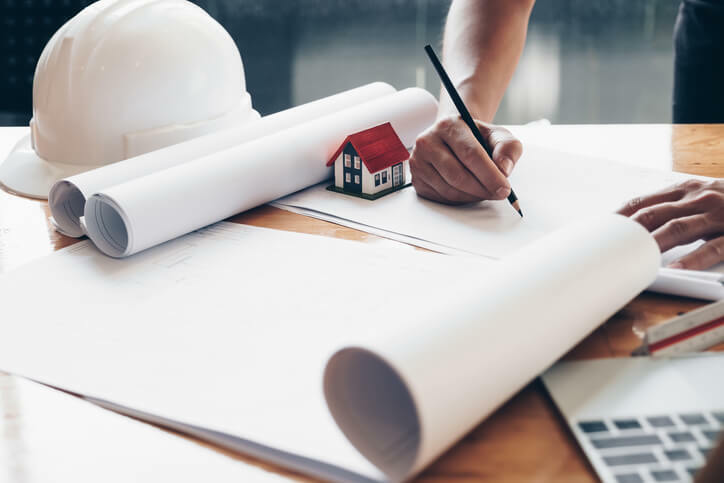 Though some investors will caution you not to flip a fixer as your first investment property, with access to the right tools and information, it can certainly be done successfully. With any business, it’s the people that are the core components, and fix & flips are no different. Work with people you trust and can be honest with, and ensure that they fit in with your overall plan and timelines. For more pro tips and tricks to help you get started on your first fix & flip project, tune in to our next Deal Finding Friday. You can experience Privy in action and learn to analyze potential deals in seconds.